This is a super easy to make recipe. All you need is half kilo of chicken (cut into small pieces for easy frying), Datu Puti's Toyomansi, and lemon (optional). 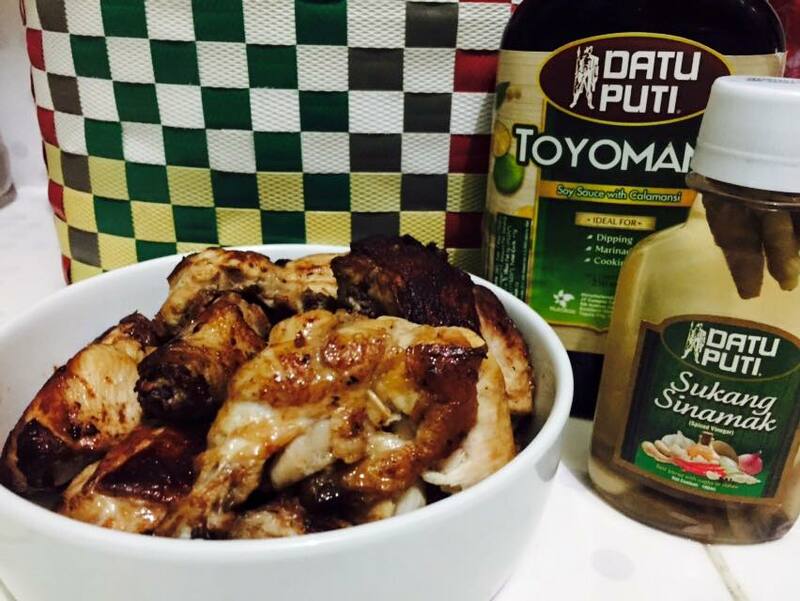 I marinaded the chicken pieces for an hour with 4-5 tbsp of Datu Puti Toyomansi. You can add more of the toyomansi or even add salt if you prefer a saltier version, or throw in some ground pepper. Fry the chicken in hot oil and squeeze lemon on the chicken before serving. We had Datu Puti's Sukang Sinamak as "sawsawan." I got the Datu Puti vinegars from the Food Tastings event so I'm using it already. I'm currently addicted to the Sukang Sinamak- its a perfect blend of "asim" and "anghang." toyomansi sure makes marinating faster. perfect for mommies! Super easy recipe. I love it! I didn't know about these new Datu Puti variants! I will look for these in the supermarket bukas! This gives me an idea. Thanks for sharing! They have a lot of vinegar variants na pala! This recipe is perfect for novice cooks like me.. Thanks for sharing! Kakagutom! This is so easy to make, perfect for our mommy busy days. We are not fans of bread crumbs on chicken or fast food way of frying chicken. So, I think this recipe is best for our family's taste. Super easy recipe! Perfect for busy days to ah! Thanks for sharing. Wow.. Easy is right :3 I'll try this later but with pork hehehe..
How deep was the oil? This looks good. Toyo-mansi is actually the marinade I grew up on and as far as I know, it's very reliable. :) Laging masarap ang manok or baboy with it. I haven't tried Datu Puti Toyomansi yet. I'll check this out when I do my next grocery shopping. Super easy to make, even I can't mess that up! Oh they have sinamak na? !